Best Termites Control is uniquely structured to service the needs of builders in Victoria and Melbourne. We have a proven record of providing outstanding, reliable and timely service. Our technicians are accredited and qualified to install both physical and chemical termites control barriers including Biflex Aqua Max and HomeGuard. Part A & Part b can be either physical or chemical treatment before concreting is done. The HomeGuard system repels, kills and blocks foraging subterranean termites and provides an ongoing protective barrier to the property. We provide builders with the Certificate of Installation for Termites Protection Systems in Melbourne in accordance with AS 3660.1-2000 for new constructions. Term Stop is the Reticulation System that Best Termites Control offers in Melbourne. With the changes in the Australian Standards the Reticulation System is an acceptable Part A and Part B treatment to Subfloor and slab. Best Termites Control uses only the best quality termite control products. All our chemical treatments are approved under Australian Standards so you can be confident of a safe and quality outcome. On your request we can provide you with safety data sheets relating to any of the products we use in our day to day operations including termites treatment, thereby negating any occupational, health and safety queries which may arise. Termite Reticulation is a low-pressure termite protection system designed to distribute pesticides around the base of buildings to form a termite barrier in accordance with Australian Standard AS 3660.1. 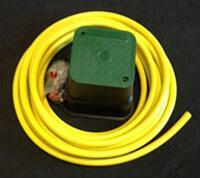 Best Termites Control offers Term Stop Termite Reticulation system. With the changes in the Australian Standards, the reticulation System is an acceptable Part A and Part B treatment to Subfloor and slab. This system is suitable for termite protection for both pre and post construction and existing buildings and homes. It is a replenishable Termite Management System that is quickly and easily installed, pumped up and recharged at a later date by one of the Best Termites Control professional technicians. Termite Reticulation System targets termites specifically at their point of entry and helps to protect homes and buildings from termites. Best Termites Control uses the latest technologies, the most advanced tools and best available products for termite inspection, termite treatment, and termite protection in Melbourne. 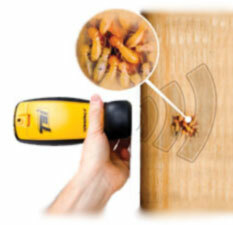 The high-quality Thermal Imaging Camera helps to discover termite activities in concealed walls. You do not need to damage the walls to find out if the termite damage is active or not, the FLIR C2 will help us determined the outcome of the termite inspection and will give our clients the most accurate and value for money inspection. Thermal imaging is the most effective tool pinpointing areas of termites’ infestation and enables us to quickly and cost-effectively scale large buildings and areas that is out of reach our hands. A high-grade thermal camera shows differences in wall and surfaces temperatures, so we can easily detect the temperatures differences in areas where termites present. Best Termites Control can provide all our customers with an accurate detailed quote for all jobs including termite treatment to new construction site, extension project, inspection and treatment for existing home and pre – Purchase inspection. The best if you can email us with Architectural plans for the new house or extension and we can promise you with immediate response with quote. We can assure our customers that our prices are very competitive without compromising on providing the best available protection system. 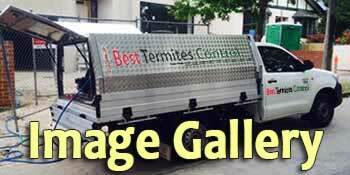 Best Termites Control is a Melbourne based termite treatment company. We cover all Melbourne Metro area like Glen Waverley, Doncaster, Narre Warren, Melton , Frankston, Port Melbourne, Morning peninsula, and all other areas in Melbourne.